Published on March 20, 2018, at 11:23 p.m.
During the summer of 2017, Daddy Yankee’s and Luis Fonsi’s “Despacito” broke records as the #1 song on Billboard’s charts for more than 11 weeks straight, a history-making statistic. “Jane the Virgin” was a hit television program that featured a touch of familiar Latino culture with several multigenerational Latina actresses. NBCUniversal’s property Telemundo Enterprises was recognized as the top television network for primetime programming regardless of language. The recent influence of Latin America on pop culture is causing a shift in the United States. According to national research by Latino Branding Power, one in six Americans is Hispanic, totaling 54.1 million Latinos currently residing in the United States. 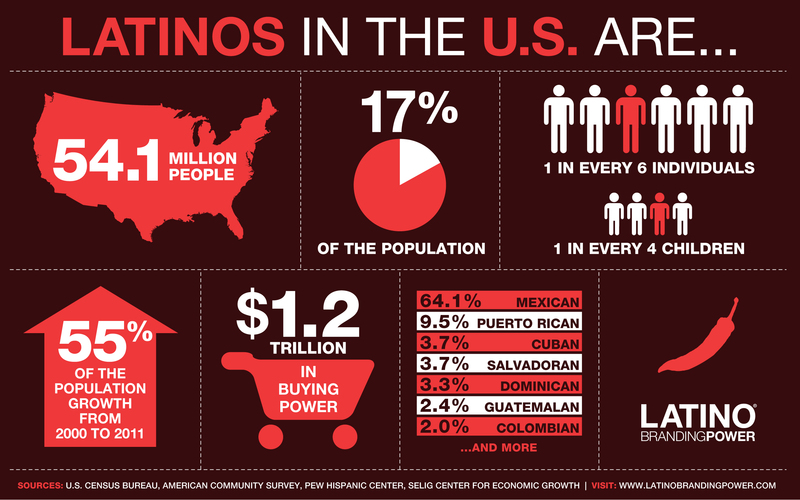 In the next decade, one in three Americans will be Latino. As 17 percent of the population, Latin Americans are estimated to have a $1.2 trillion buying power. In addition to her current role at HBO Latin America, Vígio previously worked as an executive director at Golin, a global PR firm that is part of IPG, the Interpublic Group. Before that position, she served as the vice president of communications at Arcos Dorados/McDonald’s Latin America, where she aided in the brand’s reputation development in 21 countries. Vígio’s prior experience with targeting a Latino market doesn’t stop there; she was also recently the chair in Brazil of the Global Summit of Women. This nonprofit organization unites women together to expand women’s economic opportunities on an international scale. To illustrate that Latino culture is not homogenous, Rivera noted different cultural attributions that fall under the Latino umbrella. For example, a Mexican American from Jalisco would have several similarities and differences from a Mexican American from Michoacan. Similarly, a family who recently immigrated to the United States would be very different from a Mexican American family that has been in the U.S. for several generations. In Rivera’s role as a faculty member at La Sierra University, a Hispanic Serving Institution, he works with roughly 50 percent Latino students. This position has allowed him to teach communication studies courses and partner with Latino organizations, specifically the Mexican diaspora in the U.S. Rivera has also worked with a variety of government agencies and NPOs on Latino-focused endeavors. “Take an internal look at the makeup of the organization looking to target Latinos. If there aren’t any working there, how can they be successful at effectively targeting them?” said Rivera. He then emphasized the value of Latino workers in providing an organic starting point for target audience research. According to a Forbes article, targeting the Latino market requires much more than simply translating a corporate slogan or advertisement to Spanish. Instead, there must be a genuine cultural connection between consumers and brands. Unfortunately, the majority of corporations have missed the mark when attempting to effectively target Latin Americans as companies must work to “embrace cultural sensitivity” and study particular cultural groups. Mitú is a new, digital channel with a Latino twist that serves as a great example of how to attract a multicultural audience. According to the website, the target audience of this platform is “the 200%,” which is defined as young individuals who are both 100 percent American and 100 percent Latino. Mitú partners with several brands to connect to the expanding Latino-influenced youth population through carefully curated content. When developing content for multicultural audiences, Vígio noted the importance of maintaining the same brand values throughout the company’s communications efforts. “Consumers are smart and will immediately notice a tone of voice that’s not genuine, so it’s important to rather find the peculiarities that appeal to the Hispanic audience from the elements of your product or your service and focus on them,” according to Vígio. In order to effectively target the growing Latin American market, public relations professionals must first study and understand the characteristics of the audience. From there, carefully curated content, specific to the Latino culture, can attract this valuable audience.